VIN chart: what the digits mean. Motorcycle check digit. 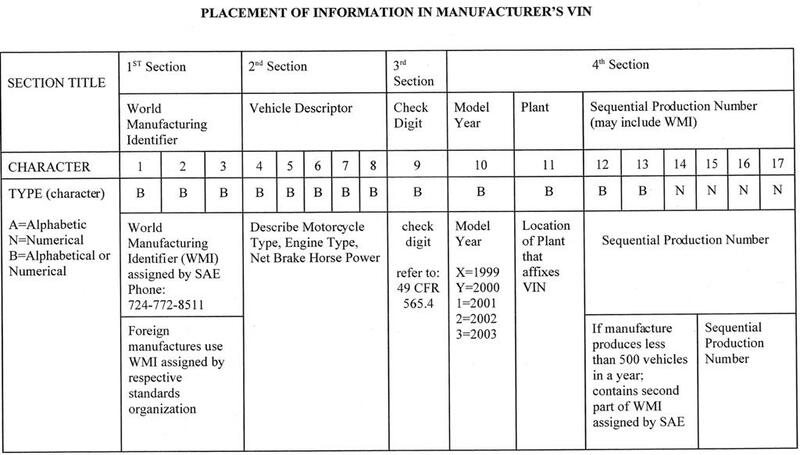 NHTSB or NTSB (National Highway Traffic Safety Board) VIN numbering requirements chart. It does not matter if you are Honda or Jesse James. All manufacturers must follow these vehicle identification numbering guidelines.